It's a parfait...with pancakes! 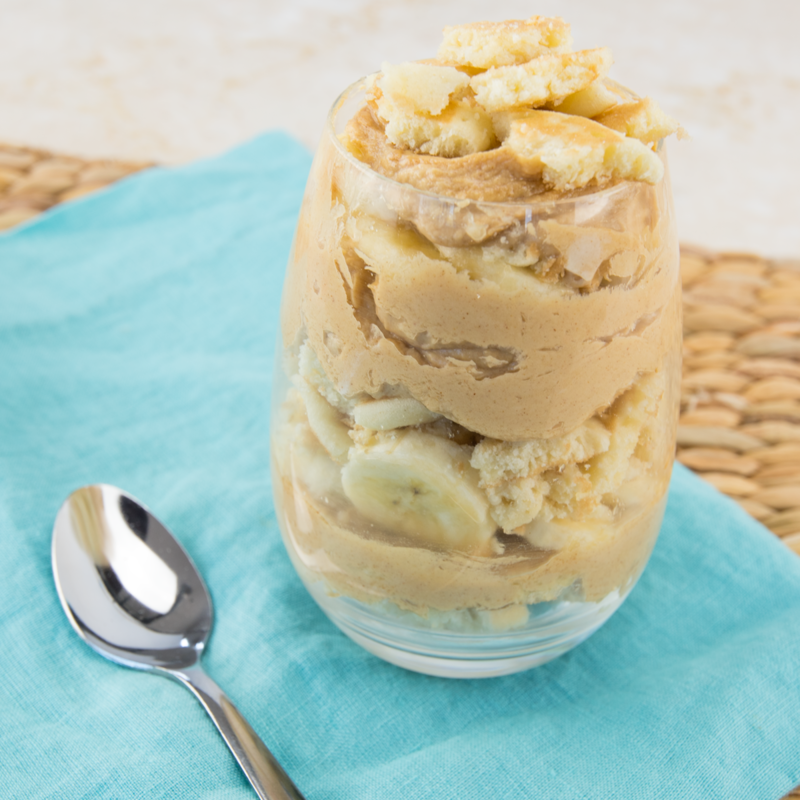 Our peanut butter & banana parfait is sure to brighten anyone's day! First, using a whisk and mixing bowl, mix the yogurt and peanut butter together until fully blended. Next, heat the pancakes in the microwave according to packaging instructions, then, tear the pancakes into bite-sized pieces. Finally, layer your whipped peanut butter yogurt, banana slices, and pancake pieces into the glass in whichever order you prefer. Now you’re ready to dig in! For added fun, try other toppings like flavored syrups, cherries, and sprinkles!